I have loved Charlie Chaplin since I was a little girl. I love the whole ethos of clowns: I don't mean the squirt-water-out-of-a-flower clown, but the proper ones. Stand-up comedians are 'love me, love me!' whereas clowns are 'love you, love you'. They give love out rather than demand that you love them. And Chaplin completely embodies that in a film like The Kid where he's able to make you howl crying and then laugh. He always pits the little man against authority and how he's unafraid to take emotion to places that's away from humour as well, unlike other silent film stars. He's always compared to Buster Keaton which really irritates me; yes, they were the same era, yes they were both silent, but it's like comparing Doctor Brown to Frankie Boyle. Both are superb but in different genres of comedy, because the comedy umbrella is gigantic. As a child, I'd be so absorbed in the romance and pathos of Chaplin and the unapologetic emotion of wanting to examine the human spirit and to put a light onto cruelty and devastate us with it. I revisit The Great Dictator at least once or twice a year and if I find out that it's on the big screen somewhere, I will travel. I'm a big fan of the Bristol Silent Comedy Festival and the glorious thing about having children is that you can force them to like the same stuff you do. So my nine-year-old son has watched The Kid which is a really good starter film for a child (it's about a kid and has a lot of slapstick in it) whereas something like Modern Times wouldn't hold the attention of a child from this century. I took some friends to see City Lights: they said they didn't like Chaplin but they hadn't even seen any of his films. People think they've seen him because he's been in the background of a sports bar they've been to; when people refuse to engage with something and say they don't like it, it infuriates me. 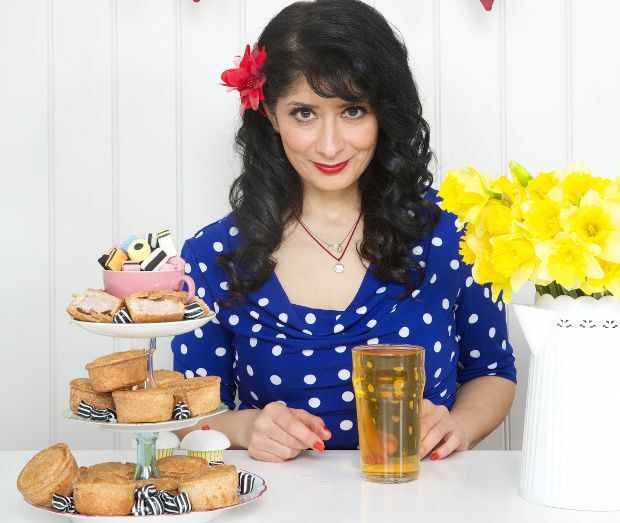 Shappi Khorsandi: Oh My Country! From Morris Dancing to Morrissey is on tour from Fri 21 Apr–Mon 30 Oct.
Shappi Khorsandi / Off The Kerb Productions Shappi is reclaiming patriotism. She's celebrating her 40th year in Britain with a love letter to her adopted land. Skinheads welcome. Star of BBC’s Live at the Apollo and Radio 4’s Shappi Talk. Author of the bestseller A Beginner’s Guide to Acting English and Nina is not OK.